William Arthur "Candy" Cummings (October 18, 1848 – May 16, 1924) was an American professional baseball player. He played as a pitcher in the National Association and National League. Cummings was credited with inventing the curveball. He was elected to the Baseball Hall of Fame in 1939. Cummings was born in Ware, Massachusetts. He later said that he thought of the idea of the curveball when fooling around with clam shells as a teenager in Ware. At the age of 17, Cummings made his professional baseball debut in the National Association of Base Ball Players with the Excelsior baseball club of Brooklyn. His first game with the team was on August 14, 1866 against the New York Mutuals. Ten days later he led his team to a 24-2 win against the Newark Eurekas. After the latter game, baseball writer Henry Chadwick commented on the skills of the young Cummings and his promising future with the Excelsior club. Cummings played for the Excelsiors next season and continued as the main pitcher for the Stars of Brooklyn from 1868 to 1871. Cummings, who stood 5'9" and weighed 120 pounds, compiled a 145-94 career record and 2.49 ERA while playing for five different teams from 1872 to 1877. Between 1872 and 1875, Cummings pitched in the National Association (NA) with the New York Mutuals, Baltimore Canaries, Philadelphia White Stockings and Hartford Dark Blues. Cummings won between 28 and 35 games in each of his NA seasons. 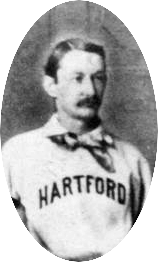 He spent only two seasons in the National League (NL), earning a 16-8 win-loss record with Hartford when the league began in 1876 and a 5-14 record with Cincinnati the next year. Among other records, Cummings was the first player to record two complete games in one day: September 9, 1876 when he beat the Cincinnati Reds 14-4 and 8-4. Cummings left the NL after pitching only 19 games with the Cincinnati Reds to become the President of the new International Association for Professional Base Ball Players. Cummings is often credited with being the first pitcher to throw a curveball, reportedly in 1867 at Worcester, Massachusetts while playing for the Brooklyn Excelsiors; some sources say later with the Brooklyn Stars. It wasn't until the Stars acquired catcher Nat Hicks that Cummings was able to use his curveball. Most catchers of his era stood twenty to twenty-five feet behind the batter, which made it impossible to field a curveball. It was Hicks' catching technique of standing directly behind the batter that allowed Cummings to introduce his curveball. The introduction of the curveball radically changed pitching, and also changed the way catchers fielded their position. Cummings said that he discovered the idea of the curveball while studying the movement sea shells made when thrown. After noticing this movement, he began trying to make a baseball move the same way, and thus created the new pitch. He would later recall from that game: "I became fully convinced that I had succeeded ... the batters were missing a lot of balls; I began to watch the flight of the ball through the air, and distinctly saw it curve." Another pitcher to claim inventing the curveball is New Haven, Connecticut-born Fred Goldsmith. 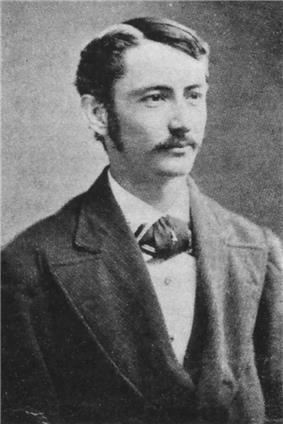 Goldsmith is credited with the first publicly recorded demonstration of the pitch on August 16, 1870, at the Capitoline Grounds in Brooklyn, New York. Sportswriter Henry Chadwick covered that in the Brooklyn Eagle newspaper, August 17, 1870. According to a 2002 article by ESPN's Steve Wulf, Cummings was "fairly well-connected" in baseball, as evidenced by his position with the International Association, and this might explain why he received credit for inventing the pitch. Baseball leaders Chadwick, Harry Wright and Albert Spalding supported Cummings's contention. After baseball, Cummings received a small royalty from the invention of a railway coupling device. He owned a paint and wallpaper shop in Athol, Massachusetts. Cummings died in Toledo, Ohio. He is buried at Aspen Grove Cemetery in Ware. He was posthumously inducted into the Baseball Hall of Fame in 1939. Broughton, Howard (1939) Fred Goldsmith Invented The Curve Ball (Assistant Sports Editor), The London Free Press, June 21, 1939. Nemec, David (2004) Great Baseball Feats, Facts, & Firsts (2004), Signet Books, New York. Stern, Bill (1949) Bill Stern's Favourite Baseball Stories, Blue Ribbon Books, Garden City, New York.